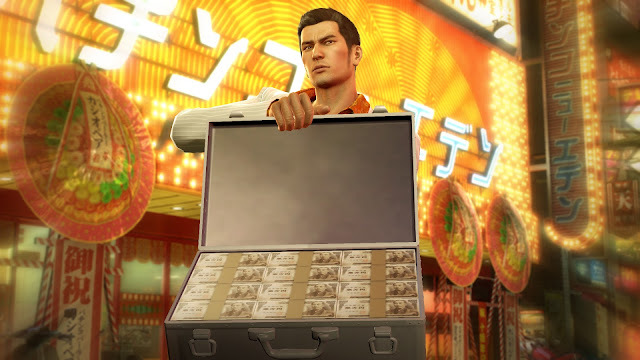 Home / News / pc / Rumor / SEGA / steam / Yakuza 0 / Is Yakuza 0 Coming to PC? Is Yakuza 0 Coming to PC? Yakuza 0 is coming to PlayStation 4 in the West on Janurary 24, 2017. A few retailer sites updated the box art of Yakuza 0 recently and something was interesting about the new box art. It features a "PS4 Console Exclusive Game" tag in the top-right corner, an indication that the game may be releasing on PC. And given SEGA's track history of releasing most of their catalog on PC, there's a really good chance this game is coming to PC. The "PS4 Console Exclusive Game" is used when the game is coming to PC. This specific label doesn't mean it's only going to be on PlayStation—Sony already has a label for that with the tag "Only on PlayStation". Seen below is the difference between the two covers. Yakuza 0 displaying the "PS4 Console Exclusive Game" vs. Akiba's Beat showing "Only on PlayStation". To top it off, this same tag is also displayed on the announcement of "The Business Edition" (ie: Launch Edition) of the PlayStation 4 version of the game. This blog was just released as of today. But according to Atlus PR and NeoGAF user, atlusprime, it's not happening and PC gamers shouldn't get their hopes up. You can believe me, or you can not believe me. My point is that when the game launches and you're like 'WTF SEGA, WHERE IS MY PC VERSION' I'm gonna dig up this thread and jam it in your face. If, by some manner of infinite improbability, a PC version does come into being, I will glady...GLADLY eat crow on it. But right now? Nothing. Nil. Nada. There is no PC version. Pointing out inconsistencies on trans-Atlantic boxart is not going to change the fact that there is still no PC version. It might be months after the PlayStation 4 release (Janurary 24, 2017) before we find out for sure if this speculation is correct or not. This wouldn't be the first or last time PR has said one thing and another thing happens. Now PC gamers just need to play the waiting game.